In celebration of National Running Day, the Dana Point Chamber of Commerce opened its early registration for the 39th annual Dana Point Turkey Trot on Wednesday morning. 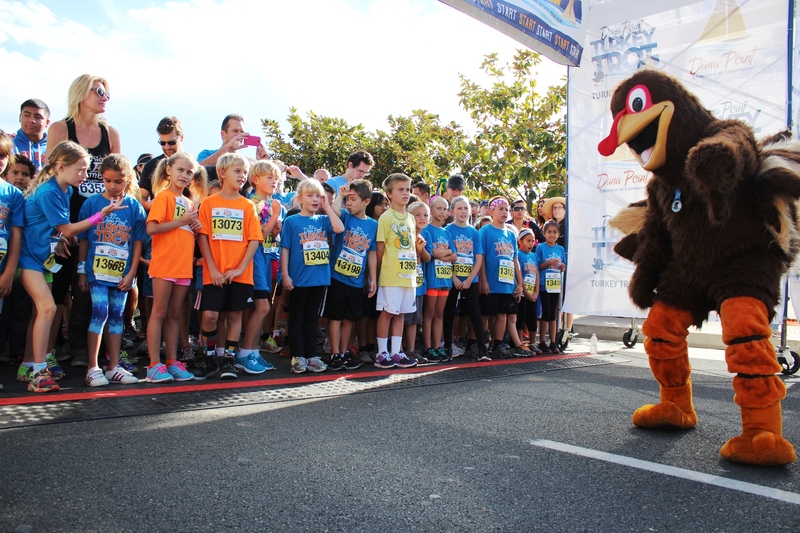 Turkey trot is held by the Dana Point Chamber of Commerce in partnership with Run Racing, the city of Dana Point, Dana Point Harbor, California State Parks, the County of Orange and Dana Marina Plaza. Dana Point Chamber of Commerce Executive Director Heather Johnston said the annual event is a big Thanksgiving tradition for families. “What started 39 years ago has grown to be a premier Turkey Trot in Southern California,” Johnston said in a statement. The event has brought in donations to local charities, including the 5th Marine Regiment Support Group, Doheny State Beach Interpretive Center, Family Assistance Ministries, Second Harvest Food Bank, Boys & Girls Club of Capistrano Valley and the Veterans of Foreign Wars Post 9934. The event brings in more than 17,000 participants and has a 5K, 10K, kids’ gobble wobble and a two-day health and wellness expo. The event is also looking for sponsors, ranging from title sponsors to supporting levels. Early bird registration for the 5K is $35, the 10K is $40, the combo 5K and 10K is $40, the kids’ gobble wobble is $15 and the virtual runner is $30. Registration will be available online until Nov. 21, mail-in registration ends on Nov. 14. For more information on the event, visit www.turkeytrot.com.